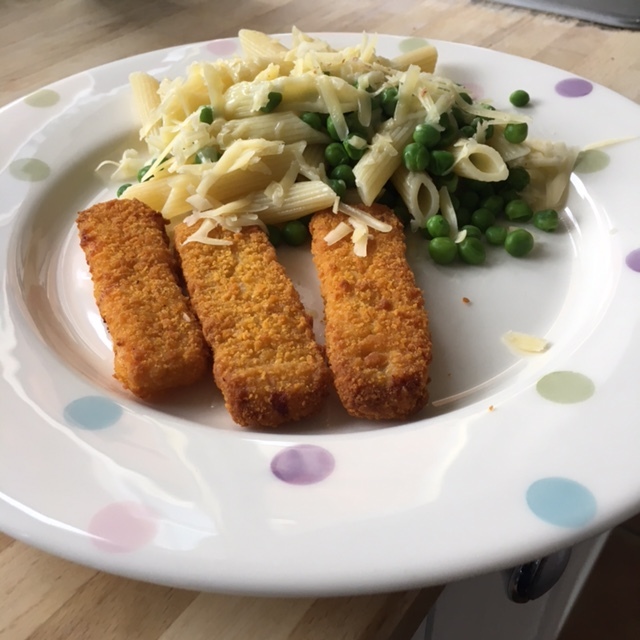 It’s full on, double whammy, GCSE and A Level year in our house. For visitors who don’t know, GCSEs (General Certificates of Secondary Education) are the first public exams most young people sit after five years of secondary schooling in England and Wales (I think Scottish students sit exams called Standards). ‘A’ Levels (Advanced Levels) are the exams some students sit after a further two years of study (Scottish students sit ‘Highers’). There are also BTECs and other types of pre-university qualifications but, in our house this year, it’s GCSEs (for our son, aged 16) and ‘A’ Levels for our daughter (aged almost 18). 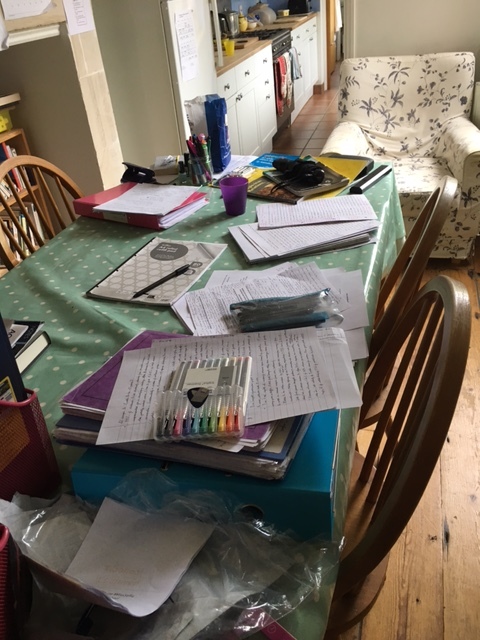 It’s been four years since we’ve had regular use of our dining table because this is the spot our daughter has chosen to set up study camp, and who are we to disturb the intellectual vibe? It seems to be working well for her, so far. 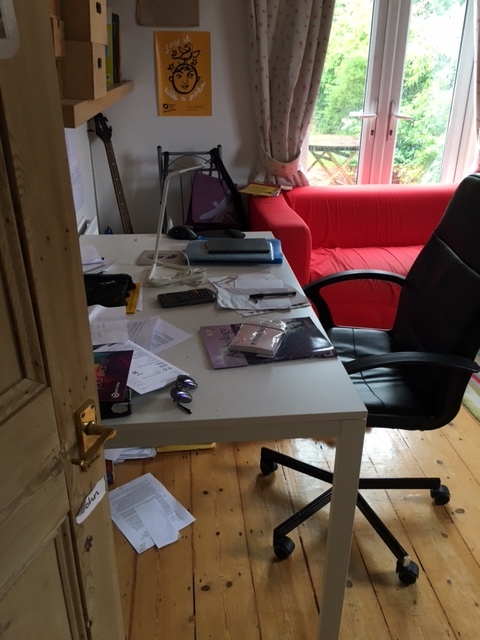 Meanwhile, our son has set up base in my study, although he doesn’t always put in an appearance, and sometimes uses this space as a drop-off zone for various un-academic elements of his busy life. I’m glad to have him near, when he chooses to visit! Our hall, at one time cluttered with schoolbags, PE kits, shoes, and various schoolfriends on their way to or from school which is very close to where we live, is eerily quiet and empty. The silence of the hallway in the morning is a reminder that I’m approaching the end of an era and a time when neither of my children will be around as much as they used to be. In some ways, this is an exciting time (obviously very exciting for both of them with their autumn plans for university and further education college). Also, a different time for me as I won’t need to be quite as available to them as I have been over the years. I’ve probably mentioned this before, but it’s generally been me alone with the children for most of the school week, as Andrew’s job takes him away from home all week. 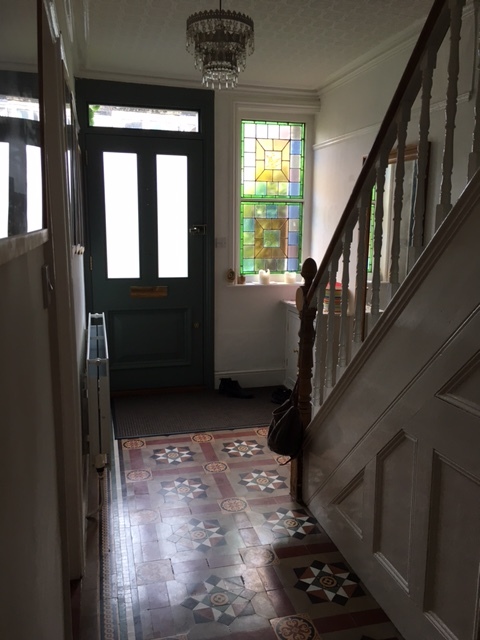 So, for 14 years, I have sometimes felt that I’ve been tied to this house and this town, and certainly haven’t felt free to accept spontaneous invitations to do wild poetry things (we all know there are plenty of those going on, don’t we?). 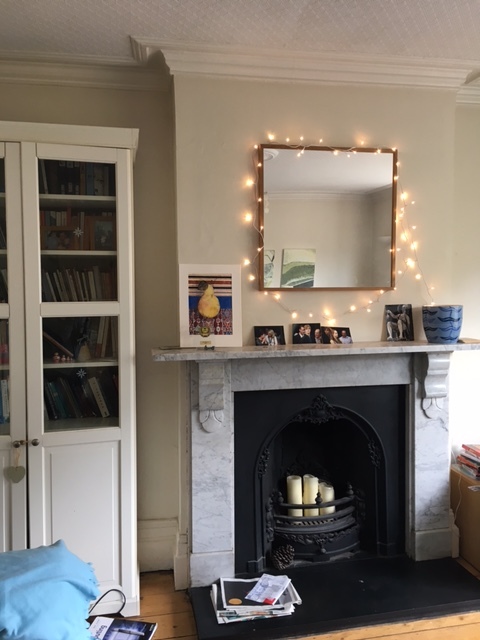 …delighting in my son and his girlfriend popping home in between exams to switch on the fairylights in our sitting room and compare notes while I make them tea and chips. Fairlylights are essential for post-exam discussions, aren’t they? It’s a funny time, alright. Blogging has been seriously interrupted. Good luck to both of them – and to you, for staying sane with all of this going on! We’re at the other end of this phase, just beginning to introduce daughter to the idea that revision is important, aged 13. It’s a lesson I never really learned. Good luck to your two, and to you as the “school bags in the hall” phase ends.